A visitation will take place from 4 to 8 p.m on Tuesday August 14, 2018 at the Funeral Home and from 10 a.m until the time of service on Wednesday. A Funeral Service will be held at 12:00 p.m. on Wednesday, August 15, 2018 at the Tuschen-Newcomer Funeral Home, 302 Columbus Street in Sun Prairie. The Wisconsin Honor Guard Association is working on coordination for a Category II funeral. More details to come when available. Jessica Sue Fischer, age 43, passed away unexpectedly on Friday, August 10, 2018. She was born on July 24, 1975 in Green Bay. Jess was the wife of her beloved "Fancy" and mother of their daughter Lillian. Jess loved the Green Bay Packers & watching with family & friends. Sgt. Fischer proudly served the citizens of the Town of Madison as a patrol officer, detective, and sergeant for the past 13 years. Her service to the community was beyond reproach and she will truly be missed. Sgt. Fischer received numerous awards during her tenure with the Town of Madison Police Department. One of her first awards was for a traffic stop, eluding and drug arrest in 2006. This case turned into Jess writing a search warrant and a larger drug seizure. 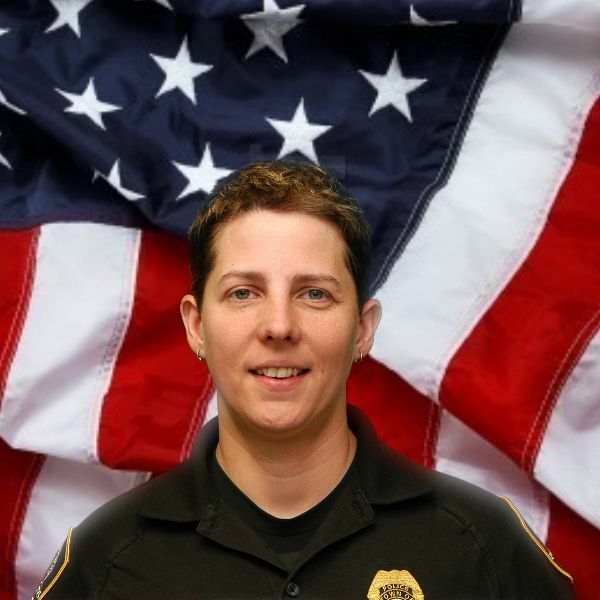 She has received many letters from thankful citizens and appreciation for her work from other law enforcement agencies, Jess also received recognition for her work from the United States Marshal Service. Sgt. Fischer cared about kids and ran our Shop With A Cop program for many years. On January 4, 2010 Jess was assigned to our Detective Bureau. She enjoyed this work, but really missed patrol and working directly with our citizens. Due to her abilities, work ethic and personality Jess was promoted to Sergeant on May 2, 2016. She served in this role until death with distinction and honorably.